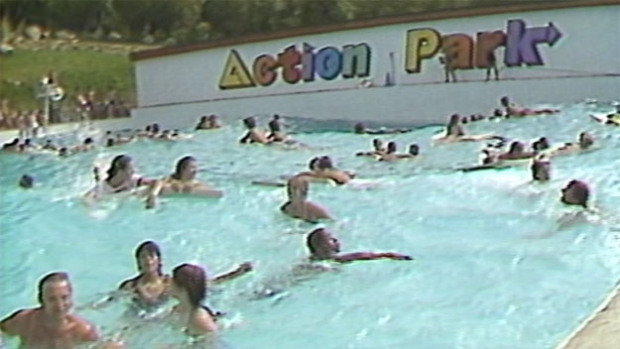 If you were a kid growing up in New Jersey in the '70s, '80s, or '90s, there's a good chance you visited Action Park in Vernon, just over the New York line. In fact, many former patrons claim it was a right of passage to survive a visit to "Class Action Park"--a fitting nickname given its notorious reputation. Just how dangerous was this place? It was so treacherous that while researching it I came across commenters on various sites that sustained broken noses, broken bones, skin burns, concussions, near drownings, and more. One said his mother worked at a nearby hospital, where she helped tend to a never-ending stream of kids coming into the ER with injuries from the amusement park. And they were the lucky ones. The place eventually became responsible for six deaths including an electrocution. It all started with a man named Gene Mulvihill, a New Jersey developer who was compared to P.T. Barnum by a former employee in a 2013 documentary about Action Park. The concept behind the park's creation was well-intended: Action Park was designed and marketed as appealing to thrill-seekers where they got to control how fast they went on a ride, so naturally it was a preadolescent and teenage boy's dream. It opened in 1978 as part of the Mountain Creek ski resort and a way for the property to bring in money during the off-season months, and to also compete with Six Flags. It initially featured an alpine slide, a water park, and a race car track and in many ways, was innovative and ahead of its time. But as it grew, it added more new rides with poor designs completely devoid of safety standards. It's been said that its designers would just throw together rides without fully testing them to make sure they were safe to use. One of the park's worst offenders was its alpine slide, a fiberglass sled that would carry riders down the mountain on a concrete track which were speed-controled via a throttle stick. 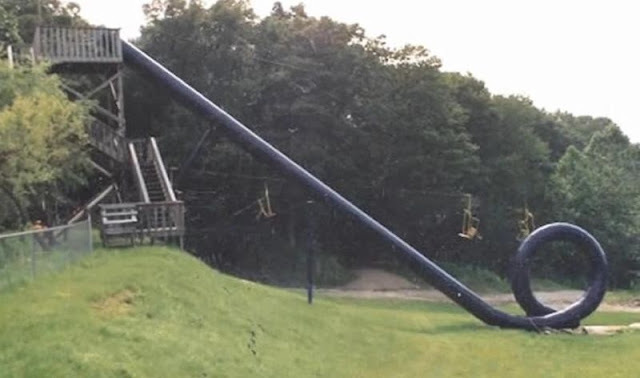 As an aside, I rode a few alpine slides as a kid -- including one that used to operate in the next town over from my hometown, and others in the White Mountains -- and never experienced any problems. Then again, I always knew to slow my sled down while approaching curves and had the luxury of a fully-functioning speed control stick. Action Park's sleds, on the other hand, were poorly maintained and described as having only two speeds: extremely slow, and "death awaits" (the words of one employee.) Thus, it was very easy for someone to whip around a curve so fast that centrifugal force would flip them off the track, and riders that went too slow would often get slammed by behind by someone approaching them at a very high speed. The slide was also responsible for the park's first fatality in 1980 when an employee went down so fast his sled flew off the track, causing him to fall down an embankment and hit his head on a rock. Kids that rode the chairlift up the mountain to get to the slide would sometimes spit on and verbally harass the passengers gliding down the hill below them. By the mid-80s the slide had caused 14 fractures and 26 head injuries not to mention numerous abrasions. Many riders would also take a turn in their bathing suits, which didn't help protect their vulnerable skin from severe scrapes. Another hazard was the park's infamous Cannonball Loop, an insane looking water slide with an upside down loop at the bottom of it. Legend has it when a test dummy was sent down it, it came out the other end missing its head and limbs. The Cannonball caused people to lose their front teeth, bang their heads, bloody their noses and wreck their backs. It also trapped one rider inside the loop which led to an emergency hatch being added to the bottom to retrieve stuck passengers. Through the years it was shut down for periods due to numerous injuries. Then there was the Tidal Wave Pool, which eventually became known as the "Grave Pool." The waves generated by the pool were higher and lasted longer than at other water parks, overwhelming even good swimmers who would then crowd the side ladders. Three patrons drowned in the tidal wave pool: one in 1982 (the park's first customer death), 1984, and 1987. A dozen lifeguards had to man this attraction and pulled out on average at least 30 people daily, particularly on high-traffic weekends. Another hotbed for disaster was the Tarzan Swing, which was exactly what the name implied: patrons swung out over a pool of water and dropped themselves in. With so many people waiting their turn in line, wise guy kids would flash the crowd by pulling down their swimming trunks as they swung out over the water. If swimmers didn't scrape their feet on the concrete on the other side for failing to let go at the right time, the shock of the very cold water would get them. One man actually took a heart attack and died in 1984 after jumping into the pool. And that electrocution? It happened in 1982 on The Kayak Experience. This was a whitewater course which frequently caused riders' kayaks to flip over. When one patron had to retrieve his, he stepped on a grate that was in contact with a live wire powering the underwater fans. The ride closed and was never reopened. Even seemingly tame-looking rides had their risks. The Super Speedboats, for example, were on a small pond known to be infested with snakes. And the Battle Action Tanks, which often appeared in television commercials for Action Park, used tennis balls as "ammo" for riders to shoot at one another. When a tank got stuck, which happened often, any employee that entered the lot to assist the rider would then get pelted with tennis balls by the other tanks. It was the only ride that was more dangerous to employees than customers. Speaking of employees, Action Park regularly hired underage teens to man the rides. This compounded with easy access to beer and other alcohol kiosks made the park all the more risky. 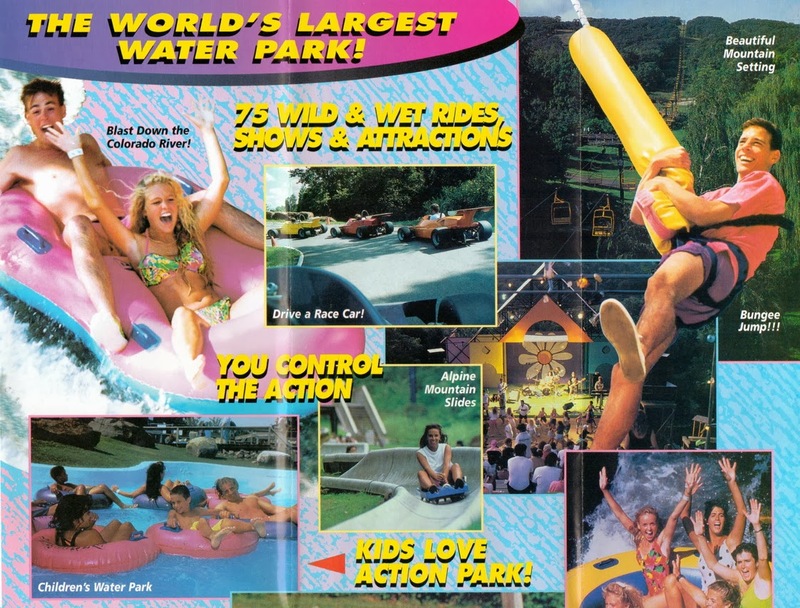 Despite its problems, Action Park remained so popular that it welcomed over a million guests per year. By the 1990s, however, Grand American Recreation--Mulvihill's company--was having so many financial problems and not just due to the numerous injuries. It went out of business in 1997. Action Park then operated as Mountain Creek Park from 1998 until 2013. Still...can anything compare to coming home in a cast? Here's a few vintage commercials for Action Park, footage from its heyday, and both parts of a 2013 documentary made for Mashable. By the way, it was also announced just last month that Johnny Knoxville (known for Bad Grandpa and Jackass) will be making and starring in a movie about Action Park. If you visited and have lived to tell the tale, please drop a comment! Wow. I've always seen the commercials since childhood, but never went there. Glad I didn't. I had no idea about all the accidents and fatalities. That's so sad. 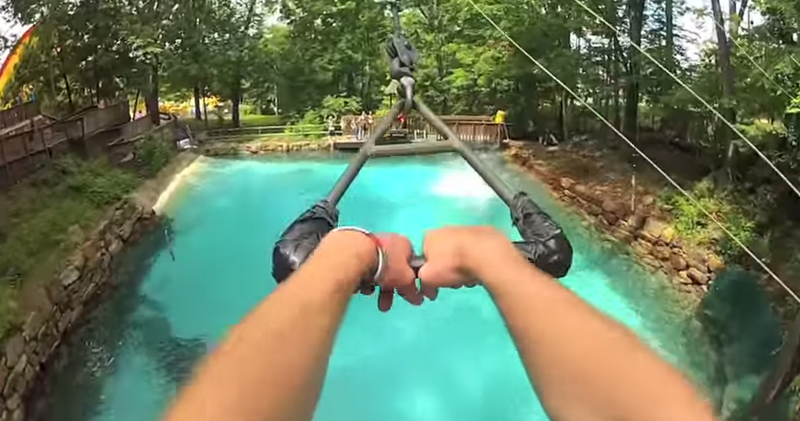 Waterparks can be so dangerous if you're not following the rules properly. But obviously they can be death traps of their own making, like the poor man who got electrocuted, or when they didn't use protective barriers. Great post! Thanks...I should point out that I do think a lot of their rides looked like FUN, and I also don't think every single one was considered hazardous...just certain ones that went over the top. I've always heard horror stories about action park, but I never knew it was THAT dangerous haha! 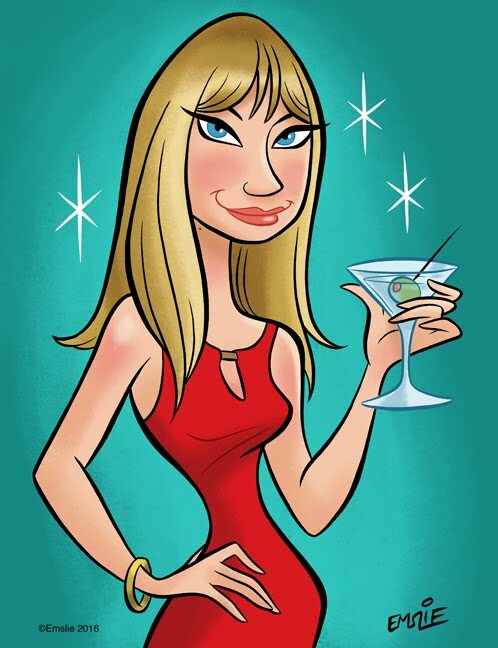 Awesome post as always! I worked at a Popular southern california fun park in Buena Park for five years while I attended college.... And they had to shut the park down because a woman UNBUCKLED her safety belt while the ride was in motion and got thrown out of the moving ride car and landed in front of the car as it went over a steep controlled DROP.. she ended up in front of the speeding car and it hit and killed her! -- What was she thinking??? Some people need nowadays to be protected from themselves!